With Christmas just around the corner, wallets around the country are going to be taking a serious hit. Between stocking up the fridge ahead of the big day and buying presents for everyone, you could surely do with a bit of cash on the hip. Well, fear no more. 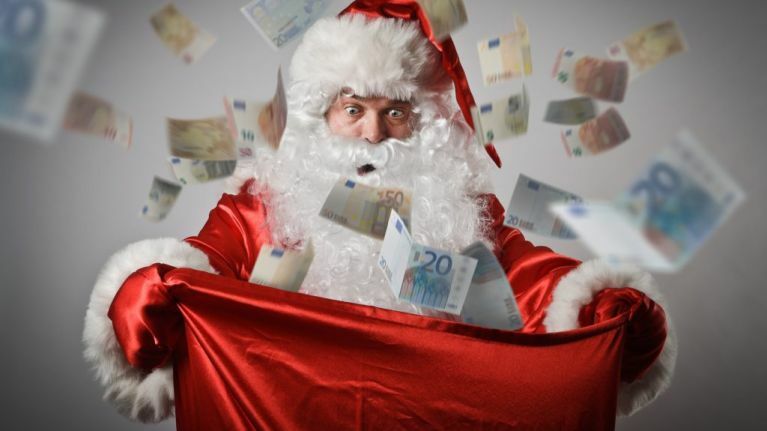 In association with Cadbury, we're going to be your not-so-secret Santa and give you the chance to win €400 in cash. To be in with a chance of winning this excellent prize, find the secret Santa hidden somewhere on this site. Once you've spotted Mr Claus, just send us a screenshot of where he was hiding. As well as the main cash prize to be won, a hamper packed with delicious Cadbury chocolate is up for grabs too. Not bad considering all you have to do is take a screenshot and fill in a form! This Christmas, Cadbury are encouraging people to follow their generous instinct, by sending a ‘Secret Santa’ gift to a loved one – just to put a smile on their face! Follow the activity #CadburySecretSanta.